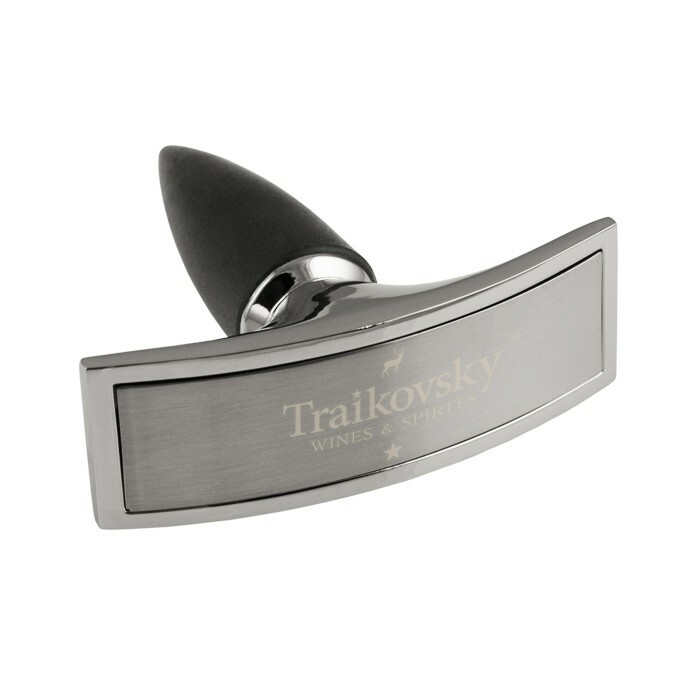 Rectangular silver wine stopper with rubber cork is perfect for re-corking wine bottles and maintaining fresh wine. (Only suitable for corked bottles). 2 13/16L" x 15/16W" x 2 7/8H"
Standard packaging in a black gift box.